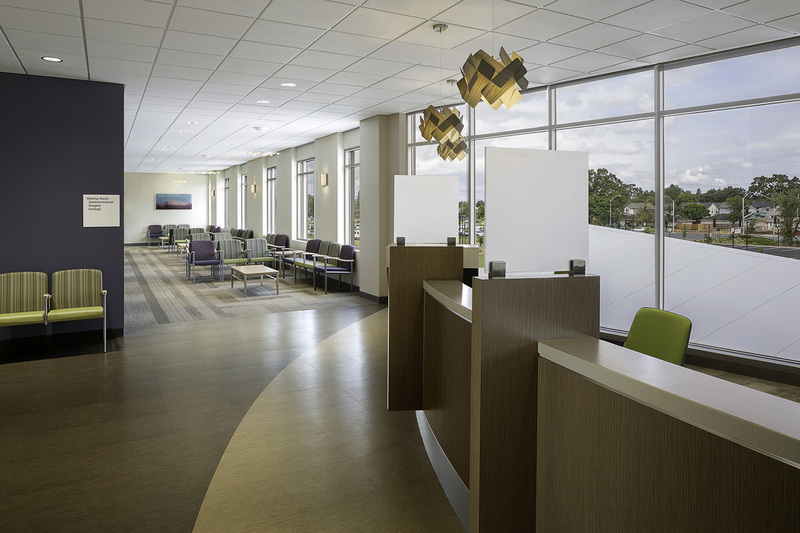 This nearly 25,000 square foot clinic includes 46 Exam and 15 Procedure rooms, with two labs for Obstetrics, Gastro Intestinal/Urology and a Phlebotomist Office. 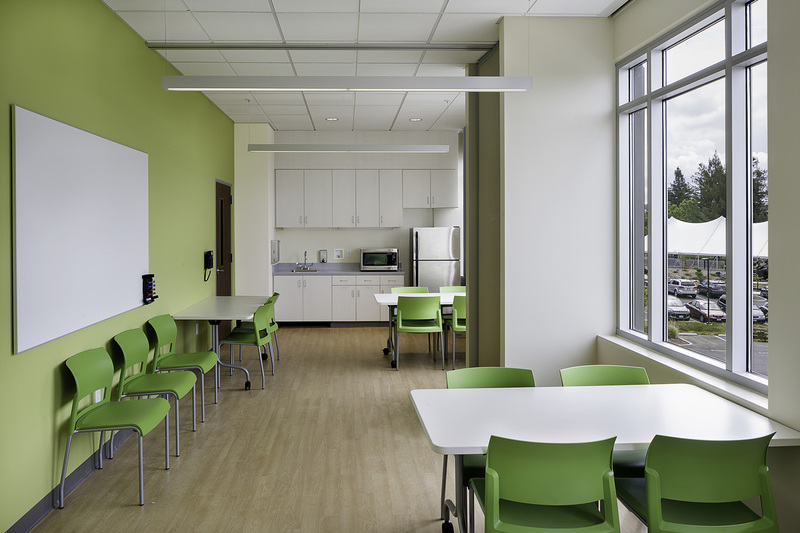 Space constraints and budget were critical factors for this project. 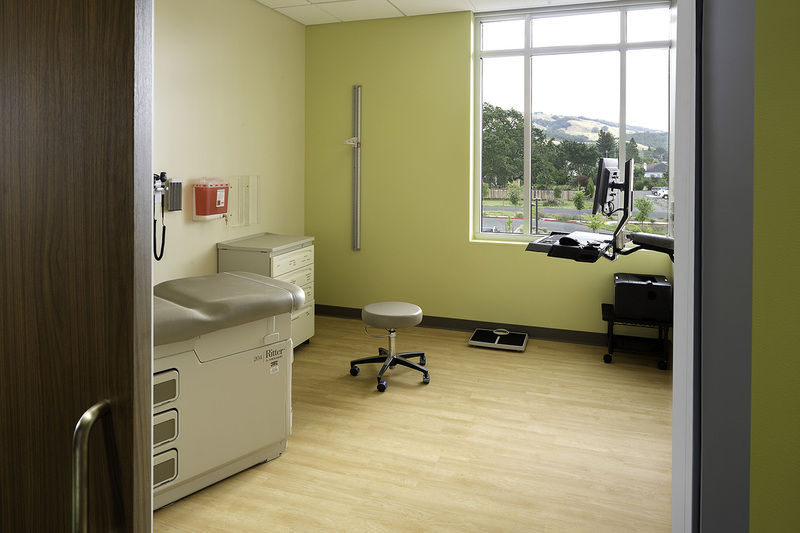 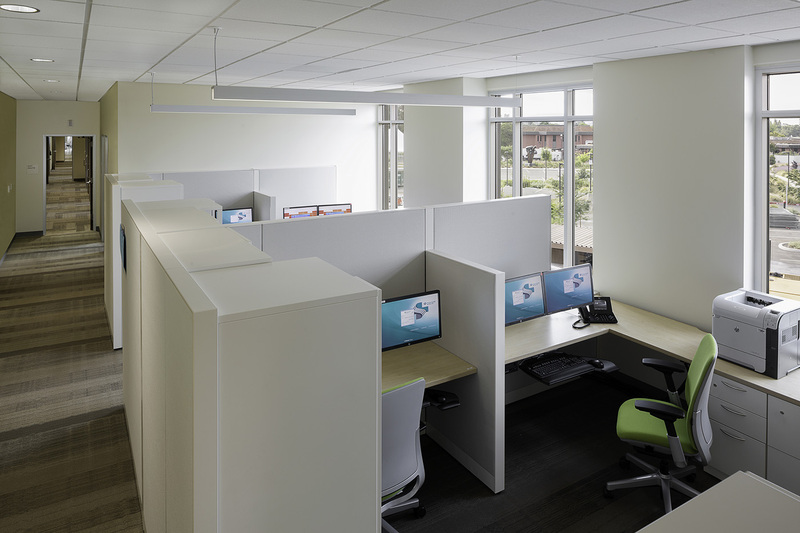 By working diligently with the various user groups it was determined that smaller exam rooms could meet all of the required exam room criteria if sliding doors were utilized. 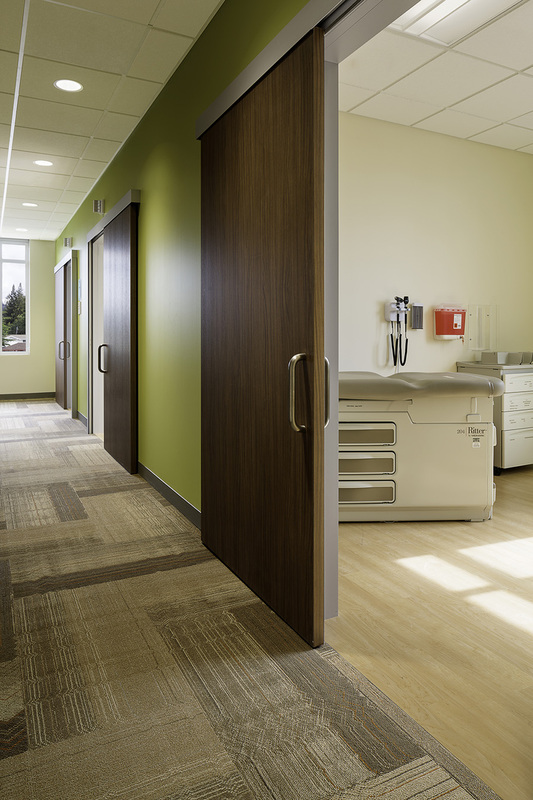 Significant research ensued to determine the best sliding door system that would meet sound attenuation and ease of use requirements. 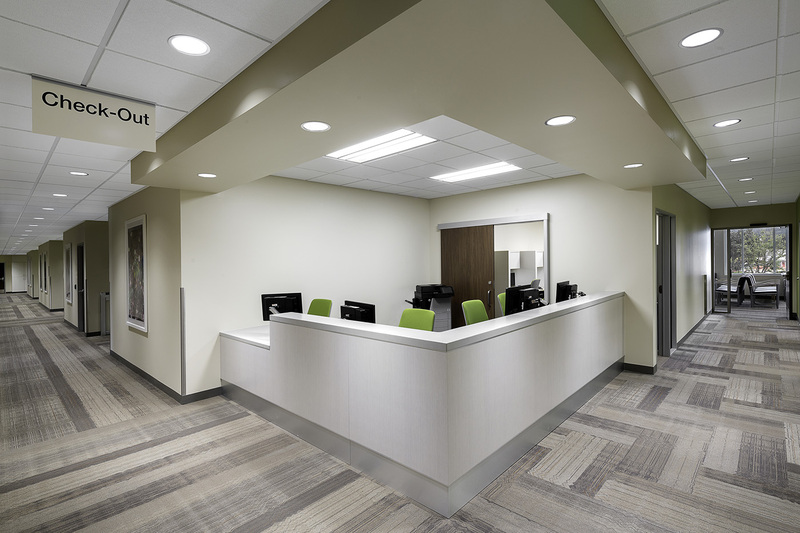 This project also utilized several lean planning tools to streamline operations within the clinic.